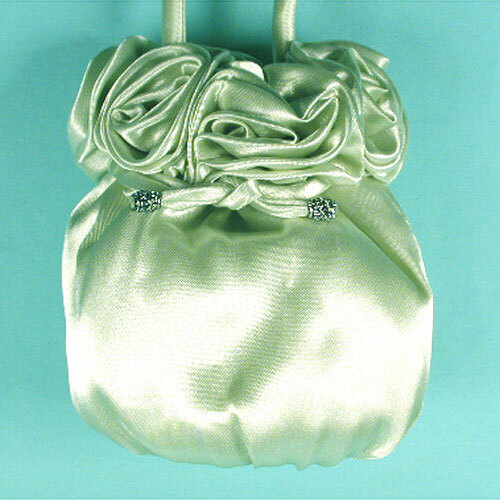 Drawstring with Roses Beautiful drawstring purse styled with roses around the top. The draw strings have antiquate metal ends. Includes a matching shoulder cord. Color: light mint Hue: Code: #E1F2D6. Measurements: width 5", height 5", depth 5.